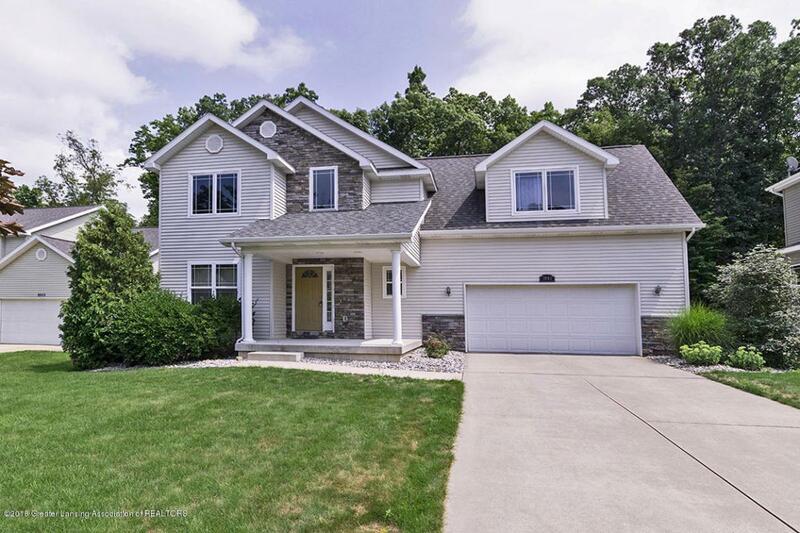 Welcome to this 4-bedroom, 2.5 bath two story in popular Arbor Meadows in Dewitt. 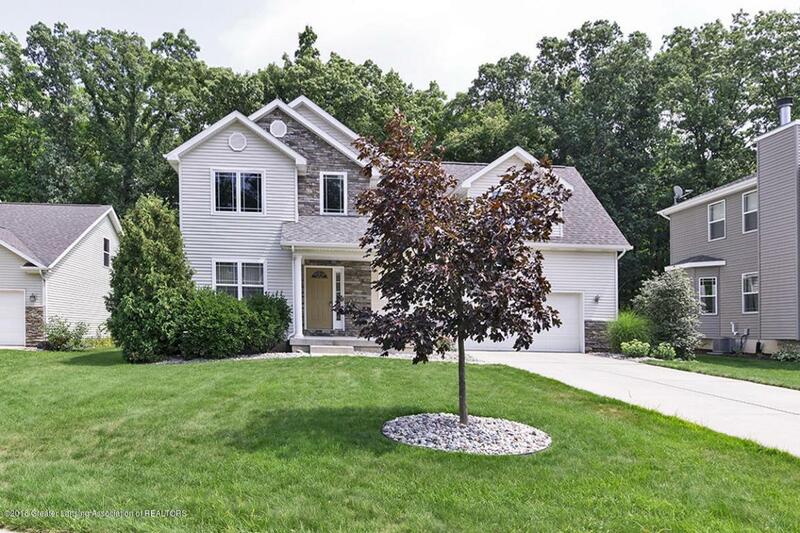 The home offers a lovely presentation on a great lot and backs up to a wooded natural area. 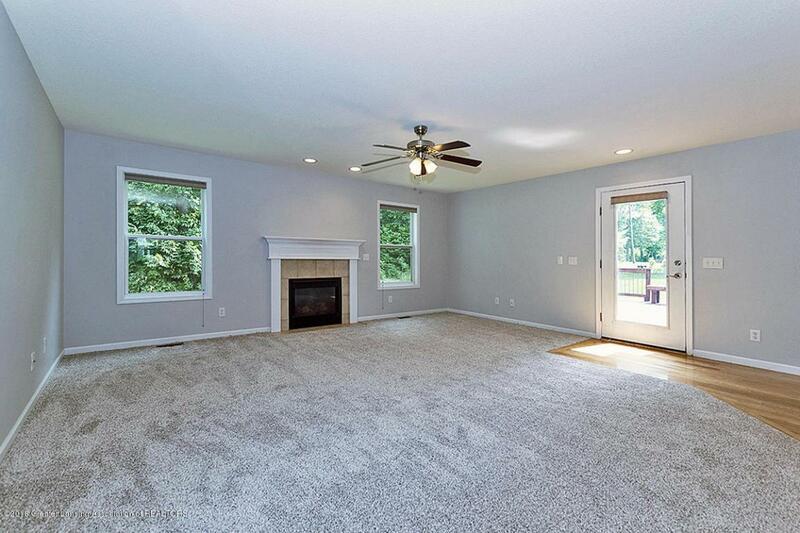 There is plenty of space outside to enjoy the back yard and the spacious deck with built-in benches. Enter across the covered front porch where you will find stone facing at the entry, and into the spacious 2-story foyer with hardwood flooring and a large coat closet. 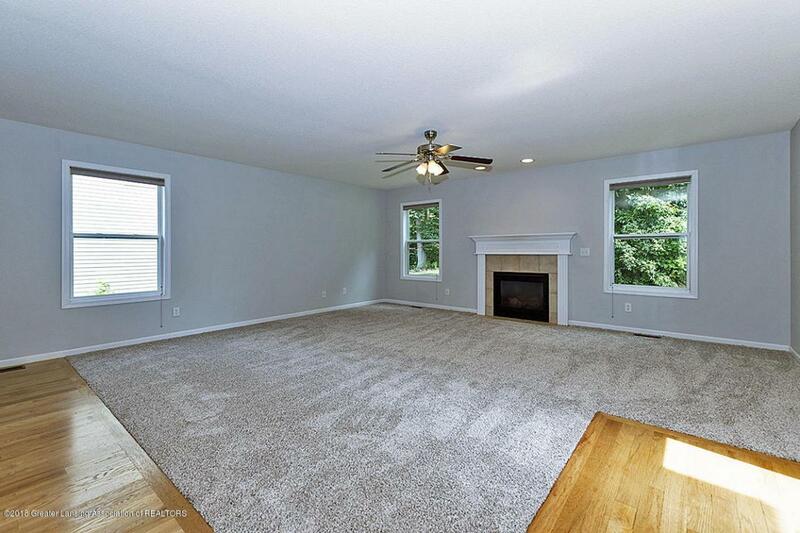 To the left of entry, you will find a formal dining room with hardwood flooring and neutral decor. This flows to the open floor plan off the kitchen and living room which makes it perfect for entertaining. The kitchen with hardwood flooring offers many nice features.